It is written in the holy scriptures of Hindus that only who is lucky and blessed will be able to die in Banaras. 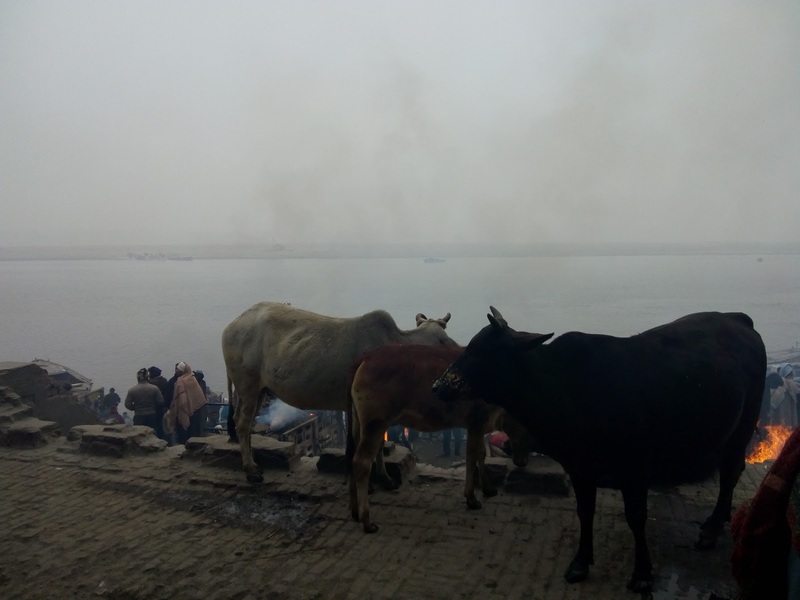 Some call it Kashi, Some call it Varanasi, Some call it Benaras. The fact remains that this is a place where God did lived at a time. If one has that level of presence, he/she can feel it here that this is not a normal place. I am a professional Astrologer, Palmist, Numerologist since so many years now and always had the habit of reading the ancient Hindu scriptures as and when I could. 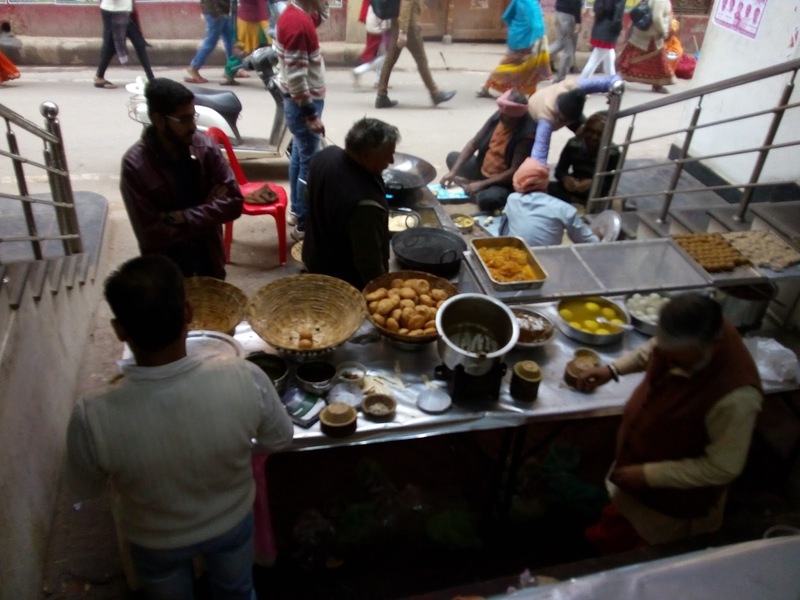 I always had this great enthusiasm to visit Banaras and now at the age of 43, I was able to visit there and now sharing my good and bad experiences with you all. 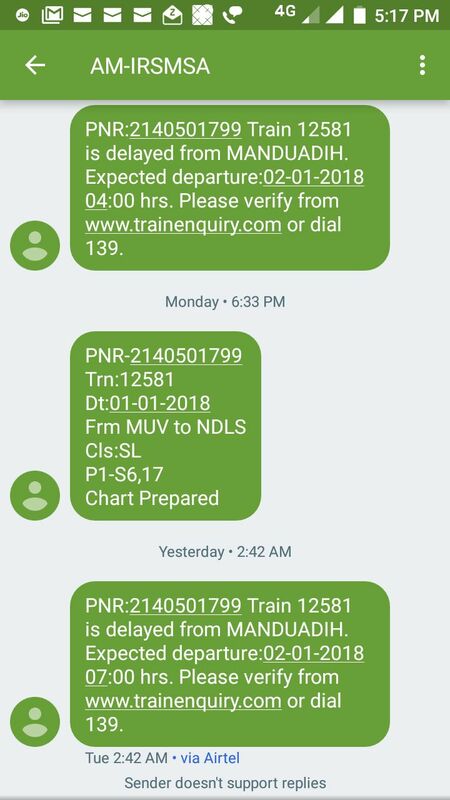 I boarded 12582 NDLS-MUV train on 30th December 2017 which was supposed to take me there and drop at 11:30 am. I had planned for two full days and on 1st January 2018 I had the return ticket at 22:30 hrs in the same train. Technically I stayed there for a full year. The wind was no where from Delhi and I was simply happy to see the holy place in the morning. And then I slept thinking about the places I will be going in the morning. Kashi Vishwanath Temple is the most sacred of all the temples there and even our Prime minister Mr Narendra Modi Visited this temple in 2014 for the sake of his victory in the lok sabha polls and he did win. There is one Kaal Bhairav Temple, Sankat mochan Hanuman Temple, Durga Ji temple and many Maa kaali Temples. 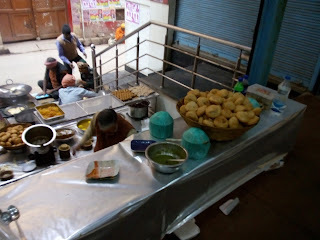 With so many temples in mind i was asleep and woke up in the morning at around 5:30 am, as per the Indian Railways, by that time I was supposed to reach ahead of Kanpur. To my surprise, there was no kanpur, the train didn`t even reached half the distance it should have. I rushed to the door and opened it. There was dense fog outside and wind was spine freezing cold. I was not able to see a meter beyond. And then it struck me that this train is going to get late, very late. 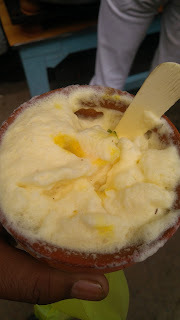 Finally at 11:00 am when I was supposed to be at Banaras, Kanpur came and i took some fruits and lunch at the station. Every one in the coach and obviously in the train was troubled due tot his delay, thanks to the weather. If you are planning to go in the same weather then take some extra foods with you because you never know when you will reach there. At 22:29 hrs the train reached Manduadih - The supplementary station to Banaras city. 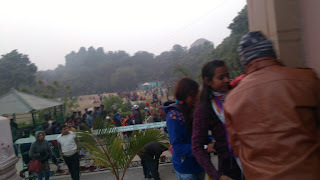 It was 31st December - The new year celebration were on and there was lot of police arrangement in the city. Every where the youth were shouting almost barking in Joy of something which is so stupid- The new year!!! Hindu new year has nothing to do with 31st of December but running after western traditions has made the youth forget their own golden history and traditions. 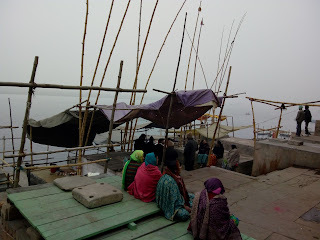 Anyways, I went to Assi ghat, one of the famous ghats or river banks of Banaras. 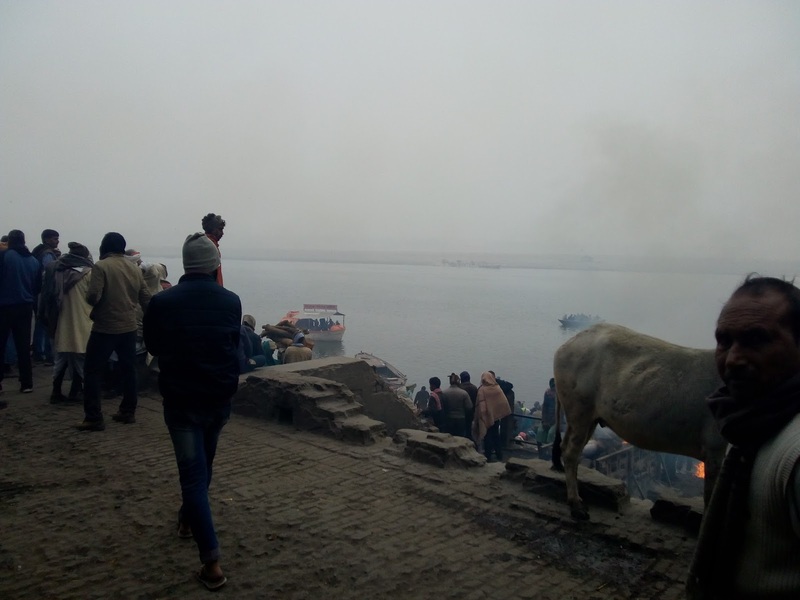 There are three main ghats, The dahwamedh ghat, Assi ghat, Manikarnika ghat and other are there also. I immediately realised that one or two days are not enough to feel this city. 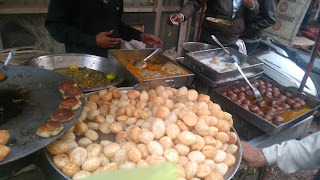 Banaras is not be lived but to be felt deep inside your soul. Gautam Buddha also visited this city and did meditation in Sarnath. There is a very huge temple of Buddhist followers in Sarnath. I woke up at around 8:30, a friend of mine who is a grandmaster in Reiki - The healing therapy, called me to find out where i was and i told that I am getting ready now. I took an auto and went to the Kashi Vishwnath Temple of Lord Shiva. 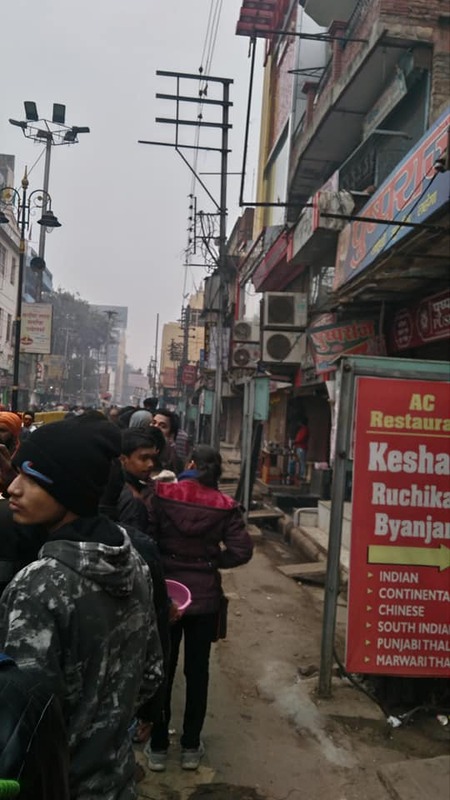 To my surprise, the queue was more than 3 kilometers long, the temples in Banaras close at 12:00 and then re open at 4 pm. My heart felt low as I suddenly knew that I won`t be able to have the darshan this time. It was a Monday and Monday is the day of Lord Shiva. It was he first day of the new year and so people were very anxious to have the darshan that day and that`s why there was such a long queue. My Reiki Friend Dr Sudha called me up suddenly asking whether I had the darshan or not and i told her that is it not possible today. She said wait and some one will get to you as there are people who take you to the darshan and charge some money, and even as we were speaking some one touched my shoulder and asked, "Darshan karna hai kya" - "do you want to have darshan" and I said NO!!! I though he is a cheat and later I realized my mistake. I then kept that person calling in my mind and after few minutes he again came by but this time instead of he looking at me I followed him and ask for the same. he said I came to you but you didn`t listened and I replied leave it. He took some money and took me to some place from where it was very easy to have the darshan of the Shiva Linga. 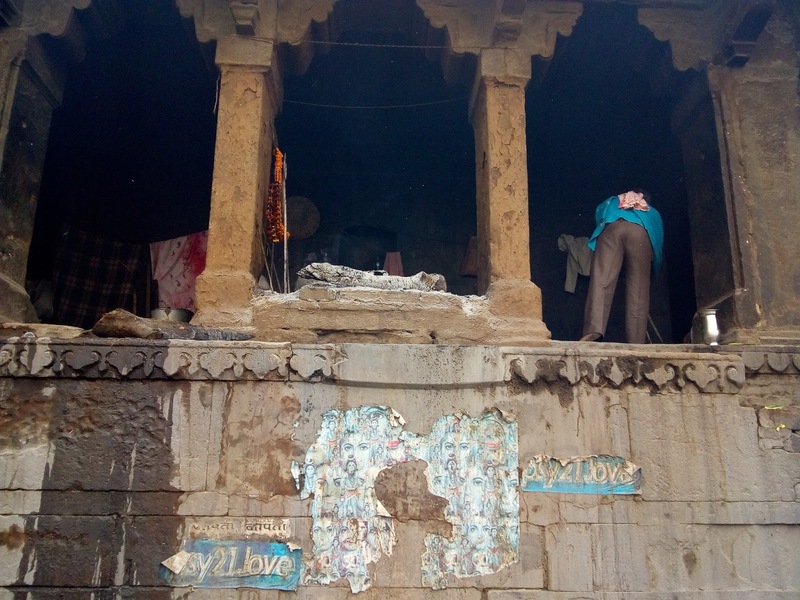 As I was getting close the Shiva Linga, chants of "har har mahadev", "jai jai shiv shamabhu" were going high and strong and I was immersed in the chants and the energy of the temple beyond my neck. 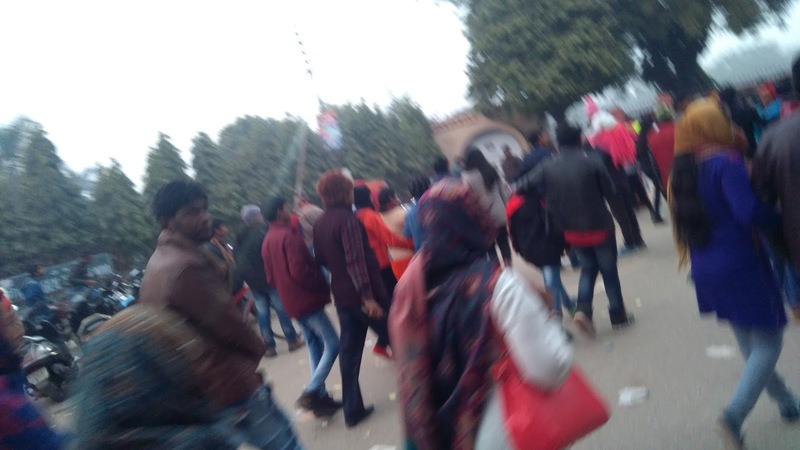 With tears of love and devotion in my eyes , I had the darshan of the Shiva Linga and to my surprise I was not able to see it for even a second as due to heavy crowd, the police were literally pushing away the men and the women very badly. I went ahead and came for the second time and had the darshan twice. Then I moved ahead and saw a man selling something yellow something sweet and people waiting for it be served. 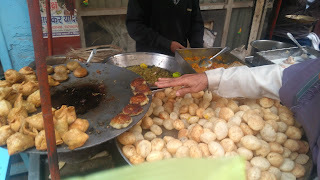 I asked , what`s this and he said it is "Makkhanmalliyye": This is something very fluffy but tasty and if you go there do have it. After filling up my large belly, I remembered what my friend told me, that there is a bank where dead bodies are burnt 24 hours. It is the manikarnika ghat on the banks of river ganges. Hindus burn the bodies of their dead and do not keep them underground, this is the best way to unburden the Mother Earth. I went to the bank asking here and there and taking the rickshaw. There ae so many lanes and then by lanes and then further by lanes that one may easily get lost. 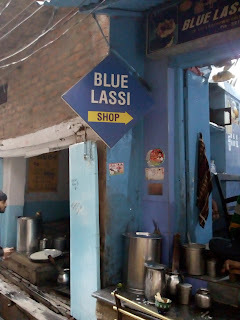 There is one more delicacy which the westerners keep looking for and it is the Blue Lassi. It is mixed with bhang: A mild marijuana. 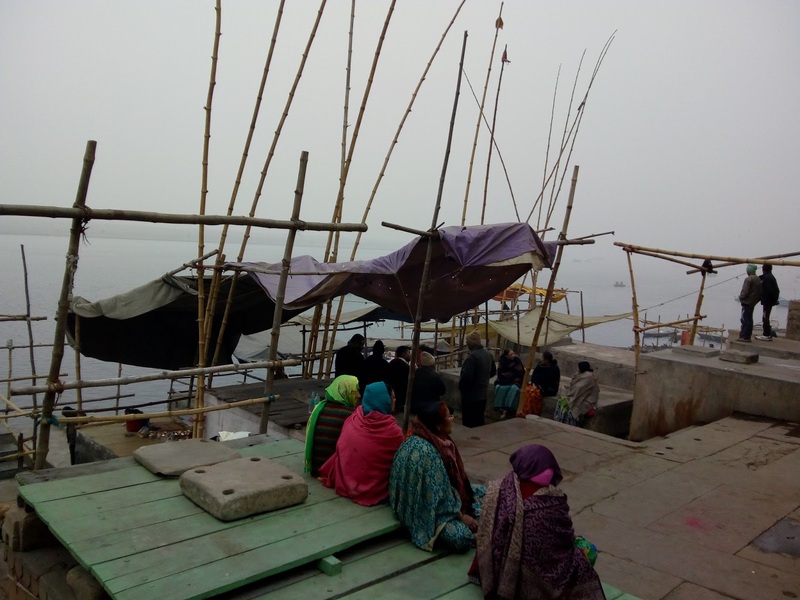 The view at the ghat was an eye opener and food for thought for one and all. We all have to die one day and what we do is instead of doing good deeds we keep running from pillar to post to fulfill our selfish deeds and make more and more money by this or that way. This is the place where the celebration of death continues round the clock. It never stops. In just one day I saw so many dead bodies fumed here, I didn`t saw in my entire life. This is the flame which is burning since past 4500 years and may be beyond. Each and every dead body is burnt after taking fire from this flame in the holy land of BANARAS. After my visit here and pondering on many questions about life, death and spirituality I thought to visit other temples but time was getting out and the real fun was still about to happen. My train was destined to start at 22:30 hrs from Manduadih. I went to a book shop and bought a book on palmistry, and then I went to Sarnath where Buddha meditated. There are temples of Bhagwaan Mahavir and Buddha there, Of course separately. I booked an auto for to and fro and started my journey there, it was just 10 kms from Banaras town. I was supposed to reach in few minutes but it took me 1 hour because of the crowd there was traffic jam everywhere. Finally I reached the Buddha temple and went inside. Suddenly a call came from a very dear friend of mine who is into meditation very intensely. I was amazed, is Buddha trying to tell me something or what, and this co incidence keeps happening every now and then between us. The fun part is that my friend thought I am in a Durga ji Temple and as it is said -- All the energies are same name it anything. They cannot be created or destroyed just like matter. They exist since the beginning of the beginning. 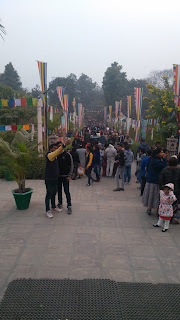 The sarnath Buddha Temple area. That day it was hugely crowded and it was almost impossible to sit there and meditate for a second also. As I was returning, i got the sms from Indian Railways that my train is delayed and will start at 4:00 in the morning. This was another headache as I had not booked the lodge for two nights, but i requested the owner and he said you can stay for a while and leave in the night as there will be no autos etc in the night to drop you. I went to the station and got another sms that train is further delayed to 5:00 amd and then I got another one that finally the train will begin at 7:00. The train came at 7:30 and started at 8:00 am on 2nd of January. It was supposed to reach in the evening at New Delhi but it reached at 7:00 am next day in the morning. What to do there: Must stay for 4 days atleast and avoid summers. When to go: Rains and winters will be good but in winters be ready for a shock. be it rail or flight. Mother nature will listen to no one. Keep extra food if in train. You never know when you will reach if in winters. Do not stay on the banks but stay at a mid point from where you can access all the three main banks. 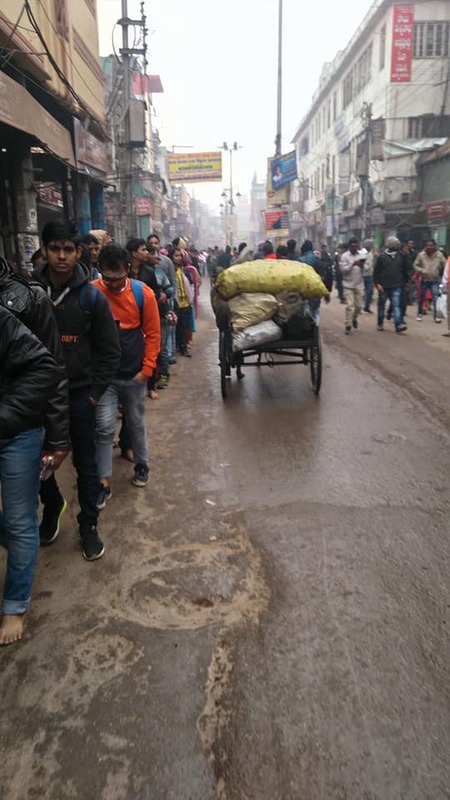 Transportation is a big issue in winters and I do not know about other seasons. If you want to learn Reiki or get your chart scanned by Reiki and vedic Astrology call +919650008266 Dr. Sudha.